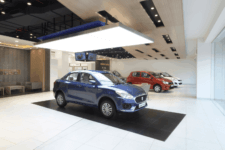 Maruti Suzuki India Limited has announced a transformation and new showrooms are now named as Maruti Suzuki Arena. 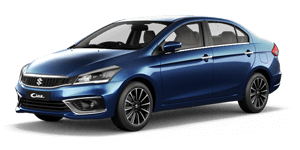 Maruti Suzuki is one of the largest car manufacturer in India and is rightly known for being pocket friendly, cost-effective and highly reliable. So, what is Maruti Suzuki Arena? Let’s give you an insight of whats new. 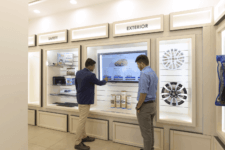 The new spacious Arena showroom is powered by technology to make the communications innovative, efficient, digitized and interactive to provide a stellar car buying experience. The managers are equipped with tablets and an app. When you visit Shivam Autozone Maruti Suzuki Arena showroom our Relationship Managers will assist you with them and list up the wide range of Maruti Suzuki cars from SUV’S to Hatchbacks with different variants along with customization options. This helps the clients to compare different products and consider various options before they filter their search. The information on tab will enable the Relationship Managers to address customer queries promptly. Customer convenience comes first. At Maruti Suzuki Arena, customers can register their mobile number through the Navigation Portal. The Premium looking Advanced Navigation Portal help Seamless integration of online and offline registration interactions. The show stopper is the black strip called the Dynamic Road with Active terrace on top, emulating the look and feel of a car on an actual road. Accessories Lounge along with Car Configurator. Gone are the days when you pull out a paper brochure out of a stack and go through it. At Arena, Unique personalization is on Customers finger tips. One can experiment with accessories with the help of a stylist at the Customization zone that’s at the Accessories Lounge along with car configurator. The touch screen configurator will offer buyers a 360° view of the car with variety of accessories and colour options along with the Icreate configurator. The customers can now explore Cars and also check out specifications, features, colors etc. on large Inclusive Product Vision (touch) Screens. Get comfortable at Consultation Zone, while sipping a cup of Coffee from our Café and have smart conversations. Could this get any better? The Owners Lounge at Arena sets the mood for friendly conversations. The overall experience will make the customer feel special and enhance their car buying experience. The effort is to be in sync with the ever evolving customer needs and offer them experience at par with global benchmark. 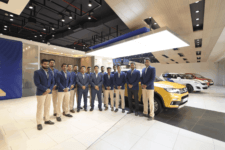 With a fast growing customer base and rapidly expanding network Shivam Autozone is all set with its New, Young, Trendy and Vibrant Maruti Suzuki Arena showroom with dynamic façade at Saki Vihar Road, Andheri. 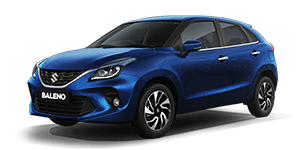 It is the best Maruti Showroom where in you can explore all your favorite Maruti Suzuki cars be it Vitara Brezza, Ertiga, Gypsy, Alto800, Altok10, WagonR, Celerio, CelerioX, Swift, Dzire, or Eeco. You can have it all under one roof. Already have a car in mind? We’ve a free door-step test drive service to enhance your customer experience. That’s not it! If you wish to get your car evaluated or exchanged our True Value expert would be pleased to be at your assistance at your convenient time and place to provide you with the best price in the market for your pre-owned or second hand car. One can also customize their car as per their likings or aesthetic sensibilities with our Shivam Signature Limited Edition service. 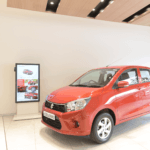 Come experience the newly Transformed Shivam Autozone Arena showroom. The landmark is roaring at Saki Vihar Road, Powai. Also Read: WHY TEST DRIVE IS IMPORTANT ?